A breakthrough in understanding about the causes of climate change has today been published online in the prestigious international journal Science. The findings of a study initiated by NIWA scientists, rule out fossil fuel production as the major cause in the rise of methane levels in the atmosphere since 2007. The research, led by NIWA atmospheric scientist Hinrich Schaefer, has concluded that increasing levels of methane in the atmosphere since 2007 are most likely due to agricultural practices, and not fossil fuel production as previously thought. The amount of methane in the earth's atmosphere is estimated to have increased by about 150 per cent since 1750. 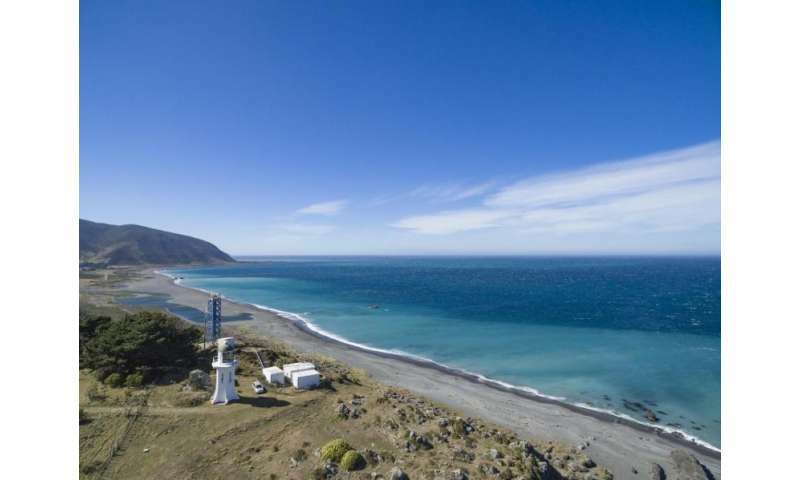 NIWA scientists first noticed trends occurring in the data collected at NIWA's clean air monitoring stations at Baring Head in Wellington and Arrival Heights in Antarctica. With only Southern Hemisphere data to go on, the scientists began to collaborate with the University of Colorado in the US, and Heidelberg University in Germany whose scientists were taking similar measurements in a number of locations across the world. "We wanted to put all the data together, then calculate the global average for each year and look at how that has changed over time," Dr Schaefer said. Between 1999 and 2006 scientists observed a plateau in the amount of methane in the atmosphere. The amount had been steadily increasing since pre-industrial times but then levelled out for about seven years. After 2006 it began to rise again and continues to do so. Were there methane sources that diminished when the plateau began in 1999? What has been driving the renewed growth since 2006? "We found we could distinguish three different types of methane emissions. One is the burning of organic material, such as forest fires. Another is fossil fuel production – the same processes that form natural oil and gas - and the third is formed by microbes which come from a variety of sources such as wetlands, rice paddies and livestock." Around the time the plateau in methane emissions occurred, economic collapse in the Soviet Union caused oil production to decline dramatically – a factor that could now be detected in atmospheric analysis but is of no great surprise to the scientists. However, analysis since 2006 rules out fossil fuel production as the source of methane increasing again. "That was a real surprise, because at that time the US started fracking and we also know that the economy in Asia picked up again, and coal mining increased. However, that is not reflected in the atmosphere," Dr Schaefer said. "Our data indicate that the source of the increase was methane produced by bacteria, of which the most likely sources are natural, such as wetlands or agricultural, for example from rice paddies or livestock." Previously published studies had determined that the methane originated from an area that includes South East Asia, China and India – regions that are dominated by rice production and agriculture. "From that analysis we think the most likely source is agriculture." "If we want to mitigate climate change, methane is an important gas to deal with. If we want to reduce methane levels this research shows us that the big process we have to look at is agriculture. "The good news is that if the source was wetlands, we couldn't do anything about it. But there is ongoing research that is looking at reducing methane production in agricultural practices." There is also another important consideration in the mix. Naturally produced methane sources are particularly sensitive to changes in climate and Dr Schaefer says wetlands produce more methane if there is more rain and if it is warmer. Thawing permafrost produces methane and methane is also found in ice-like structures in ocean sediments. "Which means that global warming could result in more methane being produced from these natural sources. You could have a situation where humans are causing global warming which causes natural methane sources to emit more methane, contributing to further warming." "We don't see that, maybe not yet. Our findings at least give us an angle to tackle the problem." However, Dr Schaefer stressed it would be wrong to conclude that the study gives fossil fuel a clean bill. "If fossil fuel production picks up again that may change the situation dramatically." @kochevnik, you are right. You off yourself first and save the rest of us. Thanks. While that's not a complete surprise, I suspect the mix will change as methane-producing sources of mining like fracking become more widespread (unless we can put a stop to it of course). I know that Australian mines are producing a lot of methane and this is an emerging issue. But agriculture seems logical as a major contributor. This is why we should all significantly reduce our consumption of red meat; if not give it up altogether.